At Cell Phone City, our cell phone repair center can repair your iPhone 8 Plus in our store. We use top quality parts and can special order parts if needed. If you need help with your iPhone 8 plus give us a call. We will give you the details you need to get your iPhone repair finished today. For pricing on iPhone 8 Plus repairs, please call us at (260) 755-2016 or fill out the form below to receive a quote by email. The iPhone 8 Plus is a very reliable and attractive smartphone. Apple has shown its prowess in crafting an attractive, classy exterior look. Its operating system can be upgraded allowing you access to the best iPhone iOS features. 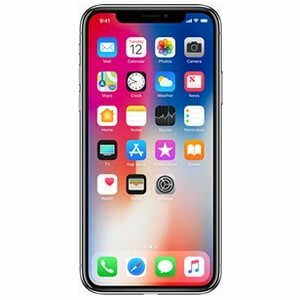 Apple has also ensured other features such as the front and rear cameras, the screen, battery and back glass are all of top quality and worth of the price you paid for the phone. As with any other smartphone, the iPhone 8 Plus works best when all its parts and software are functioning at peak performance. You therefore want to keep your phone free of things that may damage it such as water, dust, jams and jelly’s, snow, mud, spaghetti, rice, apple sauce and all the other things we never intended to get in our new iPhone. Unfortunately, however careful you may be with your phone, there is always going to be some accidental damages that you can’t avoid. At Cell Phone City, we are committed to helping you fix your phone and get back to normal when such accidents happen. 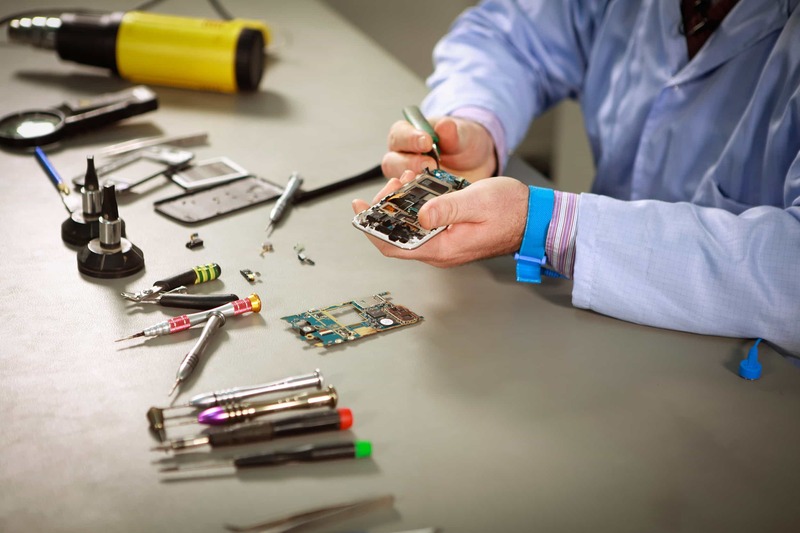 We have a team that will diagnose your iPhone and fix it for you at a fair price. Sometimes the problem with your phone is not as straightforward as it may appear at first glance. For instance, when your iPhone wont charge normally, the problem may be the battery, the charger, the port or the ic chip on the circuit board. It is therefore important for us to determine the exact cause of the problem before starting to repair your phone. The Cell Phone City team of technical experts is well trained and equipped to diagnose your phone correctly the first time. This saves us a lot time and resources and also reduces the amount you spend on the repair service. Our diagnostic exams are always free and usually take less than one hour. We also do not set the cost of repair until the diagnosis is done and you are satisfied with the proposed solutions. Apple has made the glass screen and back glass quite tough on the iPhone 8 series. However, they are still glass and can break when you least expect. 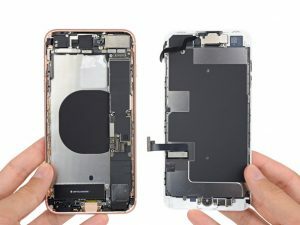 As with other recent high-end smartphones, the repair cost of either the screen or the back glass can be relatively high and so you want to do it correctly. If you watch a technician repair or replace a screen, you maybe think it is an easy task that you can do at home. But may be harder than it looks. Give us call for a free quote on your iPhone repair, before you try to fix it yourself. You could end up damaging it completely, especially without the right tools and replacement parts. Bring your iPhone 8 Plus to Cell Phone City and let us look at it for you. We have been working on the iPhone for a long time now and will give your phone the attentive service it deserves. We will examine it, repair it, and give it back to you within one day in most cases. In many cases, you will get your phone back within one hour or less. Apple has made tremendous effort towards making iPhones water resistant and the results on iPhone 8 plus is the best yet. However, if an accident happens and your iPhone gets dropped in water or on a wet surface, it may cause some damage. If this happens, bring the iPhone to Cell Phone City as soon as you can and we will try to fix it for you. The longer the phone stays powered on, the higher the chance the water damage won’t be repairable. Water can damage any smartphone or electronic device completely, especially if the water is salty. Once the corrosion begins to spread, the repair becomes less likely. The iPhone 8 Plus charge port and charging system is one of the most developed in the market. You have the option to charge your phone using a cable and port or wireless charging pads. If you feel like your phone is not charging well or consistently, there could be something wrong. Bring it to Cell Phone City and we will check it for you and repair it. If we determine that any parts need to be replaced, we will let you know the cost and how long it will take to complete the repair process. Once you are satisfied with the plan of action we will begin the process and use the best replacement parts available. The iPhone 8 plus battery should be able to charge consistently and keep the charge for a considerable period of time. The extra physical size of the iPhone 8 Plus battery helps make it last longer than the standard series iPhone. A significant change in how your battery charges or the length of time it keeps charge could signal that the battery has been damaged. If your phone is dying and the wrong percentage or you are seeing the percentage jump around a lot, you can be sure that your battery needs replaced. At Cell Phone City we have a working relationship with some of the most reputable suppliers in the industry. If you suspect that your battery is damaged, contact us and we will get you the best quality replacement battery available. Having a faulty microphone or speaker can be a great inconvenience. The cause of the problem may be as simple as accumulated dust, metal, dirt or a more technical issue, like water damage or a damaged flex cable. Our team can help you identify what the problem is, fix it or replace the parts with new ones on the spot in less than an hour, in most cases. The power and volume buttons have various functions on the iPhone 8 Plus. It can therefore be problematic if they are non responsive or start malfunctioning. It becomes harder to switch your phone on, control your volume or perform other related functions. At cell Phone City, we can test the button for you and fix it. If it is broken, we can replace it with a high quality replacement. The iPhone 8 Plus cameras are nearly the best of all iPhones. The resolution and other digital features have revolutionized the entire photography experience. If you are into photos, the iPhone cameras are probably one of the main reasons you bought the iPhone 8 Plus. If your iPhone cameras are not working right and you can’t take pictures like you want, we can help you with that. At Cell Phone City, We have taken our time to study the iPhone 8 Plus camera and its system. If it needs replaced we can get the best replacement iPhone 8 Plus camera available, so you wont be able to tell it was replaced. Schedule an appointment so you can come in and get your iPhone 8 Plus repaired at Cell Phone City. If you don’t want to contact us online, you can also come right in to our iPhone repair shop in Fort Wayne to get helped out on the spot or give us a call.